United Yacht Sales New Jersey would love to guide you through a personal showing of this 68' Sunseeker Predator 68 2003. 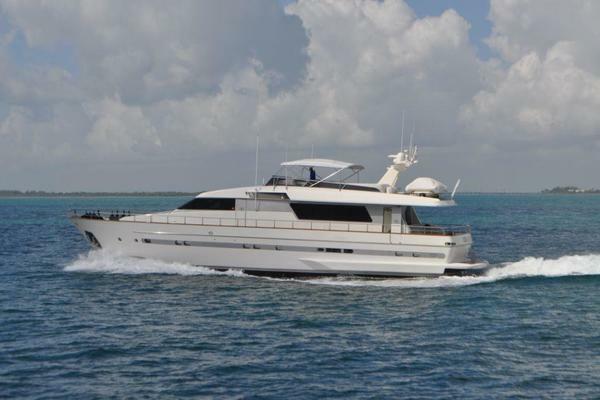 This yacht for sale is located in Delivery to USA United States and priced at $460,000. For a showing please contact us by filling out the form on this page and we will get back to you shortly! The multipurpose Sunseeker Predator 68 provides owners with a motoryacht that can readily suit a variety of needs. She features masses of space throughout, and the option of having a large jet tender - as well as a jet-bike. And her twin MAN V12s deliver the performance one would expect. The flexible layout of the Predator 68 allows owners to choose whether to have a giant cockpit or an upper saloon to complement the main saloon below. The opening hardtop, stern garage, and hydraulic bathing platform provide full on-deck conveniences, with accommodation below in tow double cabins and one twin.